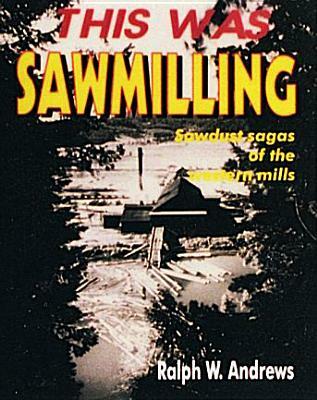 The reissue of the classic history about the sawmill industry in the Pacific Northwest is rich in memories. Here is the vital and true story of the triumphant growth and its undying promise, shown with superb photography and told with exciting text. The utilitarian waterwheel, the great days of the steam sawmill, and the epic courage of the schooner masters are told in all their glory. Ralph Andrews augments his careful and thorough research with anecdotes of the men who transformed logs into the building materials of a nation. The reader takes a step back in time, as the history of the industry which has gone on continuously since 1825 is brought to life.